AMI, Bristol, 03/01/14 – AMI is pleased to announce that the 14th edition of the Cables conference, will take place from 11-13 March 2014 at the Maritim Hotel in Cologne, Germany. Recognised as the leading international forum looking at polymer developments in the cables industry, this prestigious event regularly attracts over 250 international delegates. AMI has once again gathered a panel of experts from the industry. The busy two day programme will look in detail at key developments in polymers, additives, flame retardant technology, cross-linking and their application in highly innovative markets. Key papers will also look at important issues such as the impact of the new European Construction Products Regulation on cable manufacturers and buyers, as well as meeting harmonised fire testing requirements. The programme includes no less than 3 cable producers (Prysmian Cables & Systems, Nexans and General Cables) discussing different aspects of the industry as well as a presentation about the power cable industry in the Middle East from Starpower of Saudi Arabia. For the first time, the conference will also give participants the opportunity to do a site visit at the Wiehl factory of BGS Beta-Gamma Service GmbH & Co. KG who are sponsoring the conference. Cables 2014 offers a meeting point for cable producers, specifiers, raw material suppliers, additive or equipment manufacturers to debate business trends and improvements in the cable industry. The conference is sponsored by Albemarle Europe S.r.l, BGS Beta-Gamma Service GmbH & Co. KG, LKLAB Minerals GmbH, Nabaltec, Borealis, Dow Chemicals, Kabelwerk Eupen AG, Lyondellbasell, Küttner Industrieberatungs GmbH and Melos GmbH. 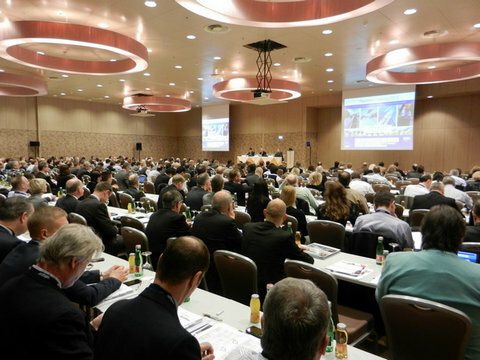 CABLES 2014 will be held at the Maritim Hotel in Cologne, Germany from 11-13 March 2014. For further information please go to AMI’s website at www.amicconferences.com or call Becca Utteridge, Conference Organiser on +44 (0)117 924 9442 or E-mail:[email protected].